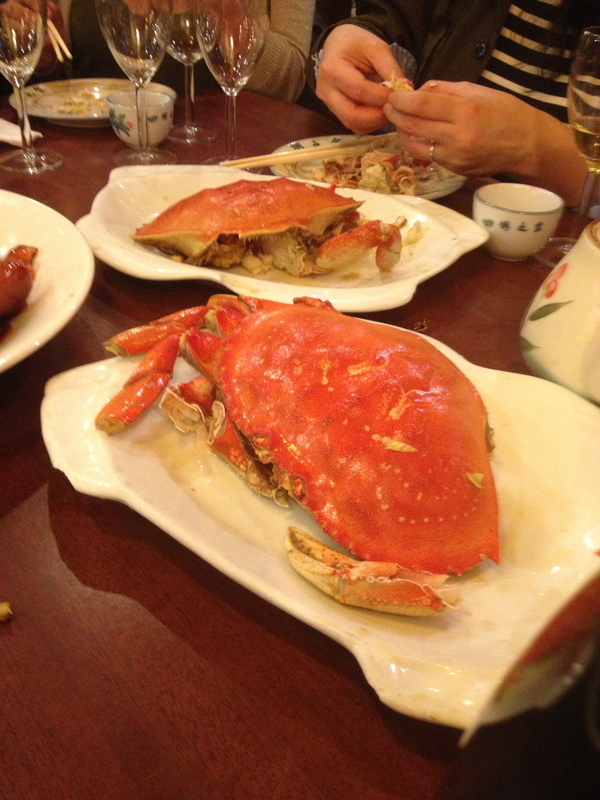 Every year, we get together with friends and celebrate Chinese New Year. Since this is the year of the horse, we decided on a theme — wine vintages from past years of the horse. I was told that I was born in the year of the water horse but I could not find a wine from that year. 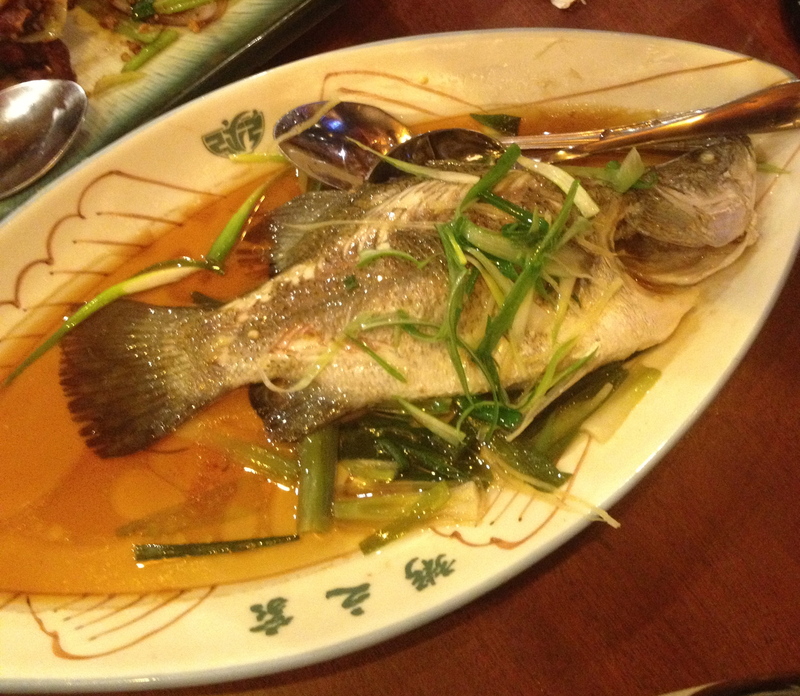 We chose the Oriental Gardens Restaurant in Manhattan’s Chinatown for the dinner. 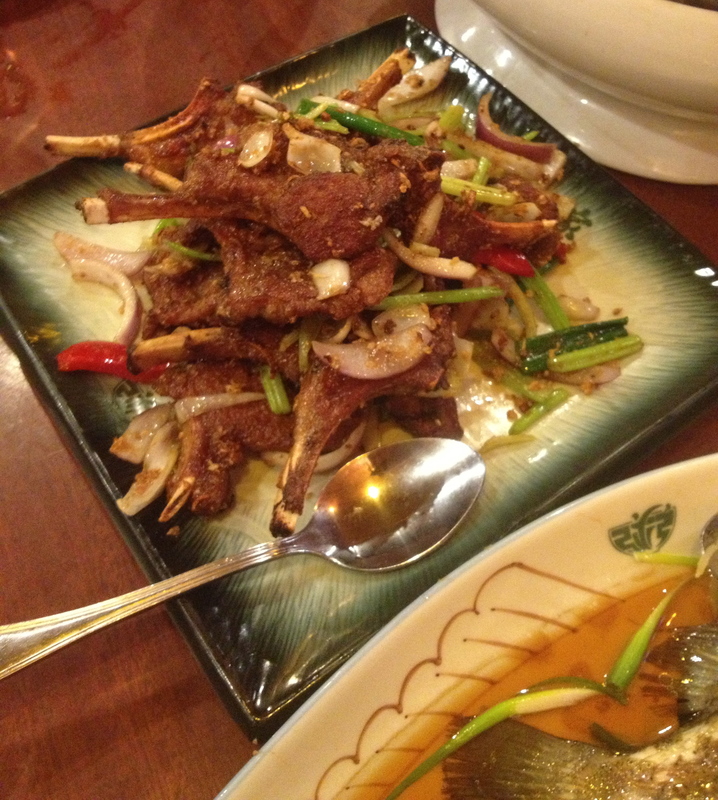 The service was excellent and so was the food. 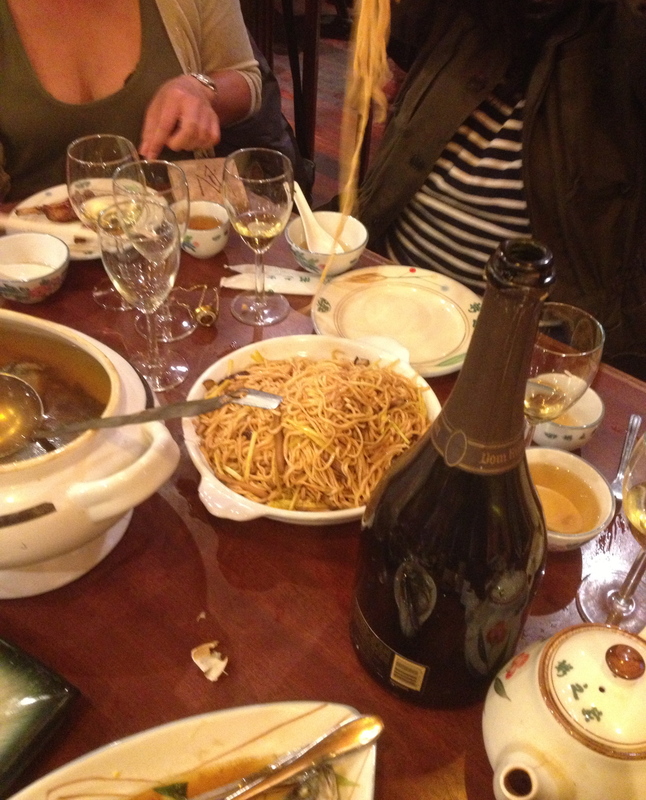 Our waiter was the best that I have ever had in a Chinese restaurant and could have qualified as a sommelier at a top restaurant. 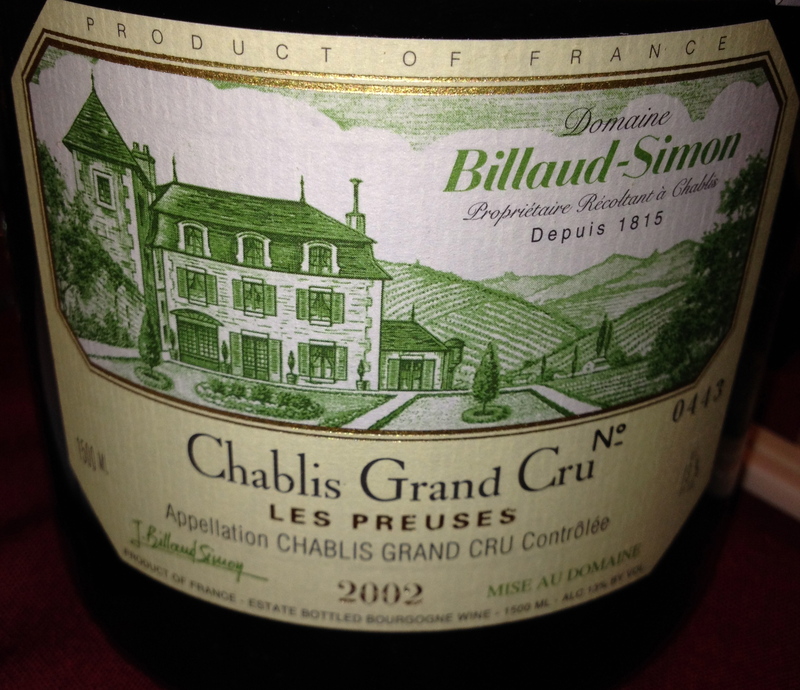 Chablis Domaine Billaud- Simone Cru “Les Preuses” 2002 100% Chardonnay. The exposure is south; southeast and the vines are 65 years old. Harvesting is by hand. Vinification is in stainless steel. Aging is for 8 to 10 years depending on the vintage. This is an elegant complex wine, with aromas of honey, toast and lemon with good minerality, a long finish and a very pleasing aftertaste. It was a great way to start the celebration. 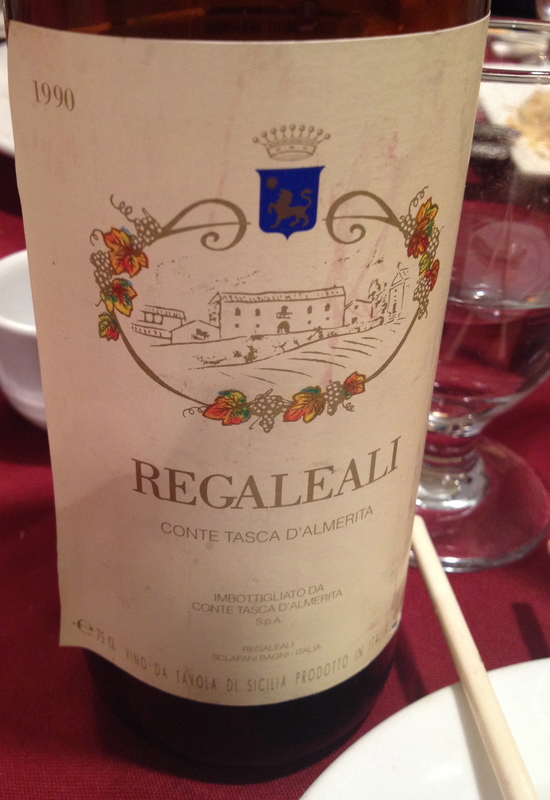 Regaleali Rosso Sicilia IGT 1990 made from 100% Nero d’Avola. Fermentation is in stainless steel for an average of 10 days. The wine is aged in stainless steel 50% and 50% in oak casks of 30HL and 60HL for 6 months. This was a real surprise. The wine was 24 years old and is the type of wine that one would think is to be drunk young. It was in vey good condition with no signs of oxidation and enough fruit to make it very enjoyable. 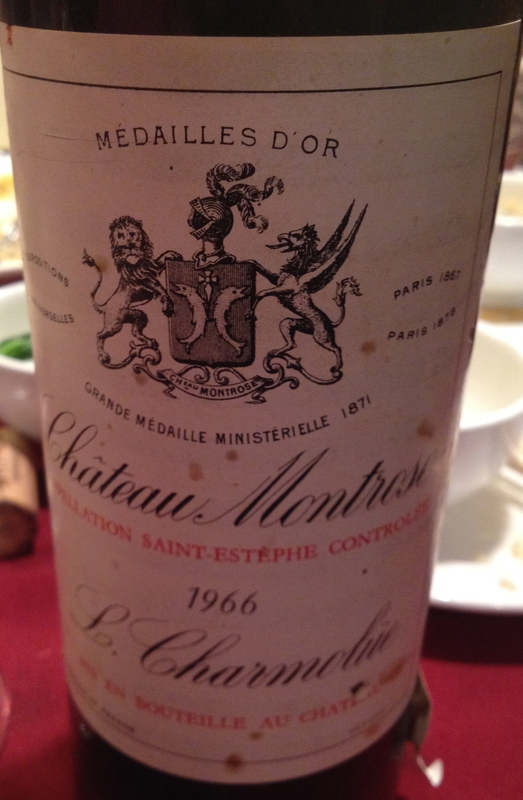 Chateau Montrose 1966 – Cabernet Sauvignon 65%, Merlot 30% and Cabernet Franc 5%. Back then, the average age of the vines was 29 years. The wine was aged for 22 to 24 months in barrel. Robert Parker in his book Bordeaux (1985) writes that the anticipated maturity of the wine is between 1986 and 2010. 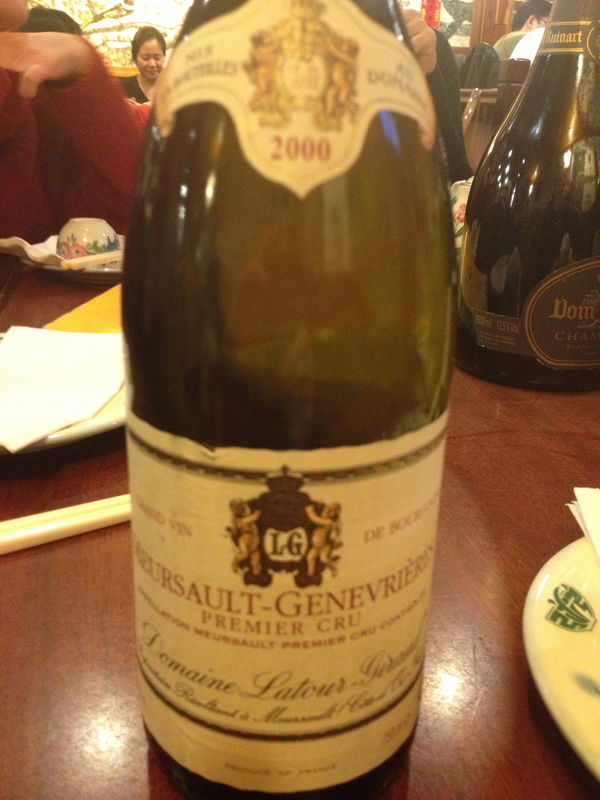 The wine is classic St-Estephe and was drinking like a younger wine. 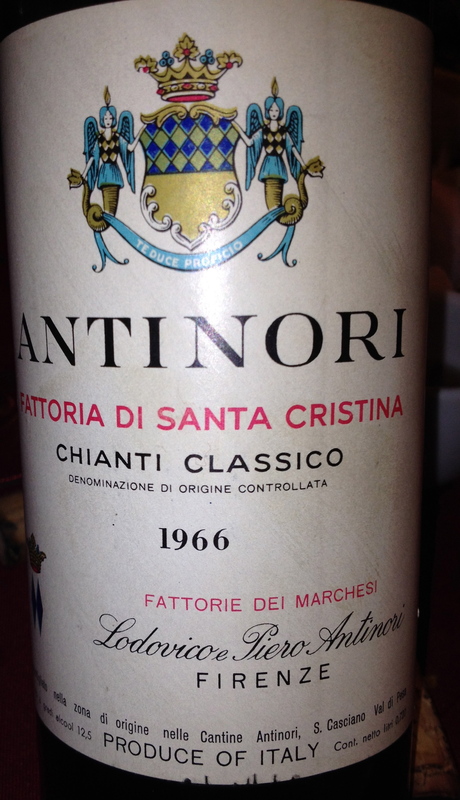 Chianti Classico Fattoria Di Santa Christina 1966 Fattoria dei Marchesi Lodovico and Piero Antinori. I am not surprised anymore when I drink older Chianti Classico. This wine was made with white grapes, Trebbiano and Malvasia, and they most likely used the governo method (drying 10% of the grapes). This was the wine of the evening for me. Barolo “Vigneto Rocchette” 1978 Giovanni Accomasso & Figli. I do not believe that I have had any wine from this producer. The location of the winery is La Morra but as far as I know it is not imported into the USA. Barbaresco Bricco Asili 1978 100% Nebbiolo Ceretto. We had this wine at another New Year celebration a few days later and it was showing so well I just had to include it. Barolo 1978 Cogno- Marcarini 100% Nebbiolo– This wine was made when Elvio Cogno was the winemaker. Cogno produced some of the best classic traditional wines that it has been my pleasure to drink. This one was no exception and it was the wine of the evening for a number of people. 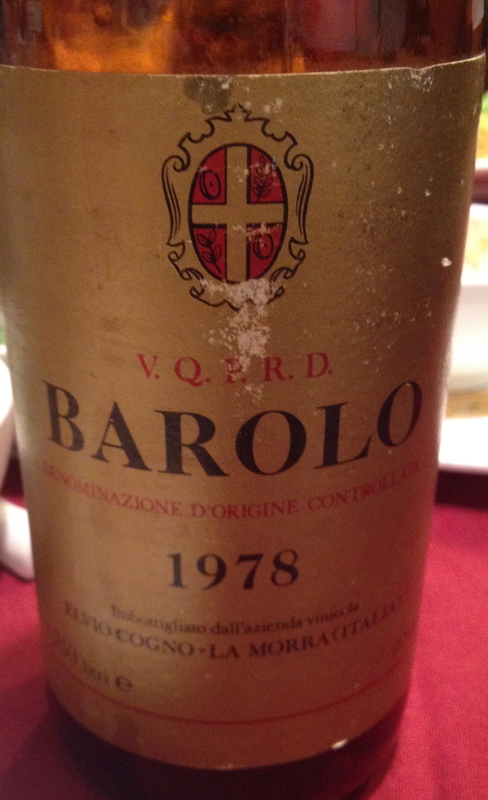 1978 was a very good vintage for Barolo. Wasserman gave Cogno’s Barolo 4 stars, his highest rating. 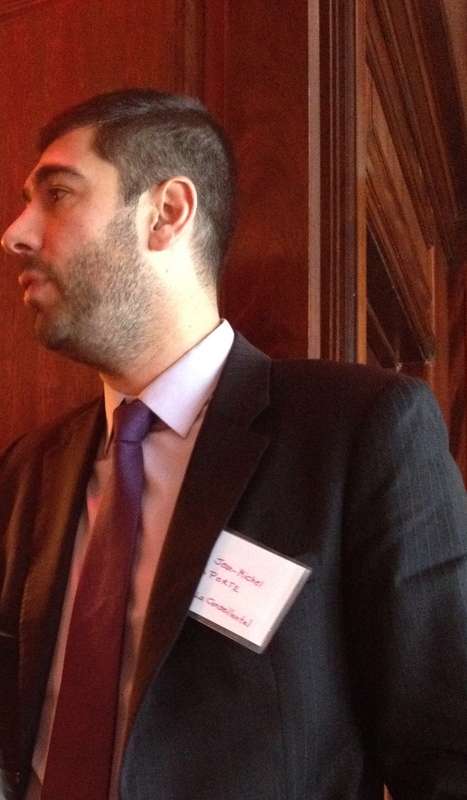 Ever year the Wine Media Guild does a Bordeaux tasting and lunch at Felidia restaurant in NYC. This year we had the wines from three top Chateaus along with a representative from each one. 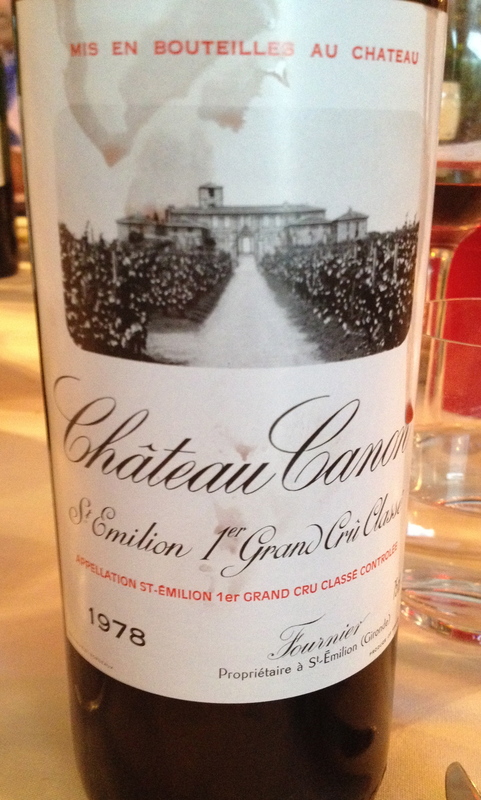 It was a very interesting tasting going back to 1978. Mr. Kolasa began by saying that wine is a happy match between grape variety and soil type. The current blend is 65% Merlot and 35% Cabernet Franc. The different plots of vines total 54 acres of very uniform soil types, which is the first hint that Chateau Canon is unusual with respect to the rest of the Saint Emilion area. The soil is a combination of limestone containing fossilized starfish covered by a thin layer of clay left behind by a prehistoric lake which constitute an ideal environment for the grape varieties, The different steps in the vineyard management calendar are scrupulously respected throughout the year. Chateau Canon manages its plots sustainably, ensuring perfect ripeness and making it easier to identify the best batches of fruit, which are vinified separately. The policy is clearly to foster environmental preservation. 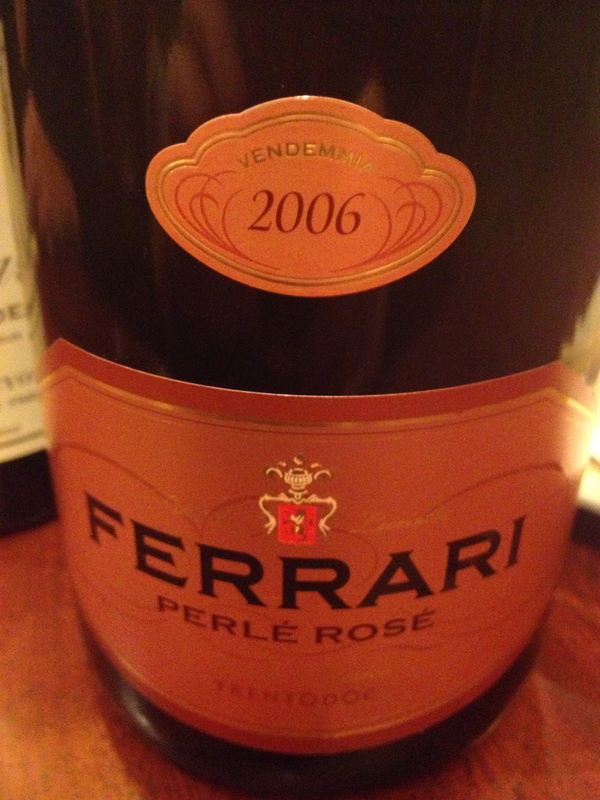 2001 There was an oaky vanilla component to this wine which seemed to overwhelm all the other aromas and flavors. I did not find this in any of the other Chateau Cannon wines that I tasted. 2005 This is a classic vintage and it will age. 2008 This was a mixed vintage some very good wines but no great ones. However you can but the better ones at a good price. 1998 This was a very successful vintage and I found it drinking very nicely now but it will last for a few more years. 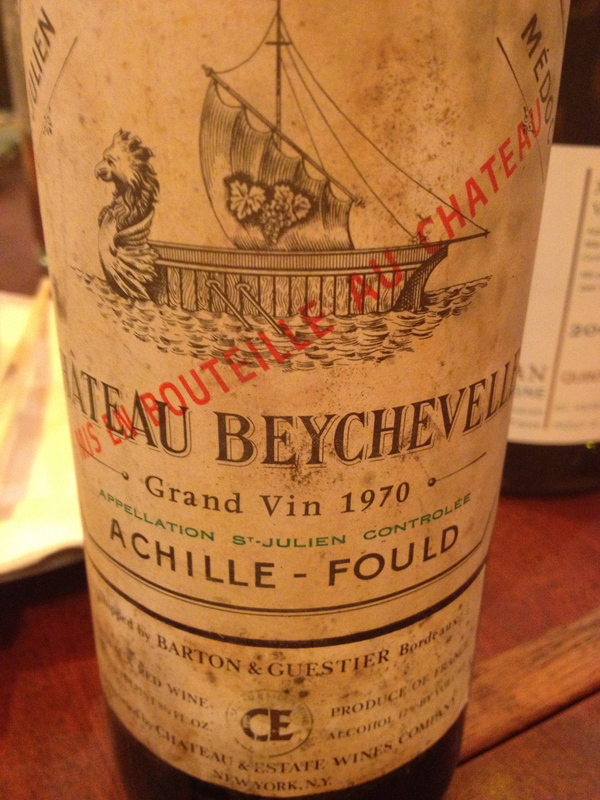 1978 This was the wine of the afternoon for me and I had a lot of agreement. It is classic old Bordeaux with a background of leather, a touch of spice and lingering berry aromas and flavors. 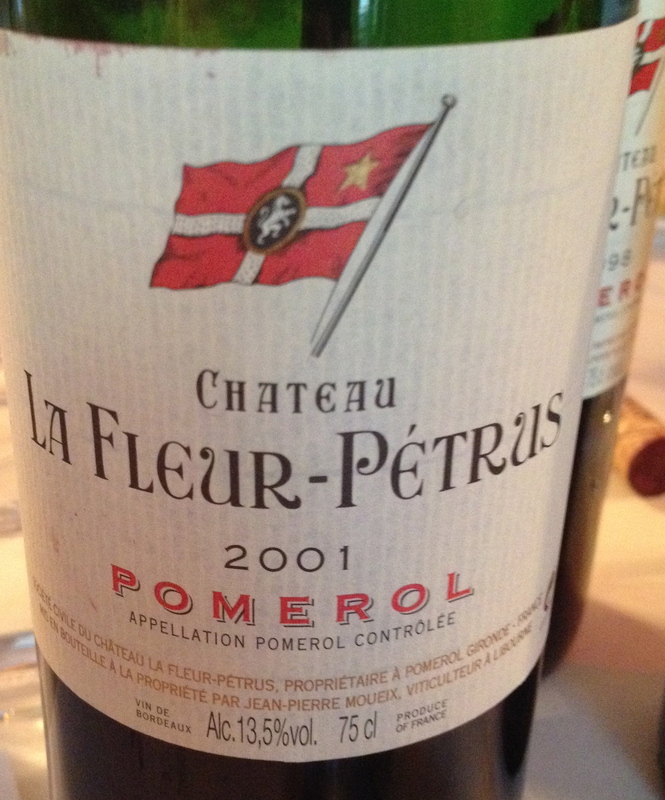 Chateau La Fleur-Petrus Pomerol the wine is made from 90% Merlot (30 years old vines) and Cabernet Franc (50 years old vines) There are 2,600 vines per acre. There are 47 acres of vineyards and the soil is mainly gravelly with some clay. The hand- picked grapes are sorted using an optical system. Traditional fermentation takes place with 16 to 20 days maceration in concrete and stainless steel vats. The wine is aged in French oak barrels, 50 % new. 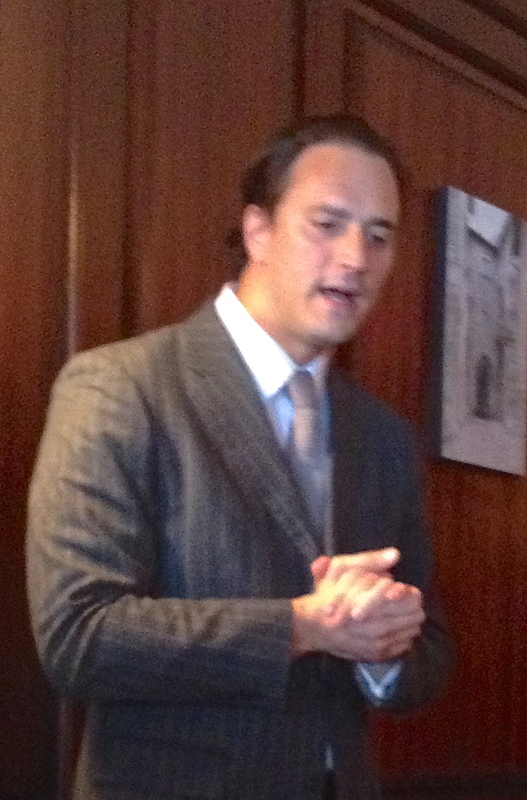 Mr. Edouardo Moueix said that today the Chateau is composed of three major blocks, within 500 meters of one another. They are situated at an altitude between 35 and 38 meters, along side some of Pomerol’s top chateaux’s as its neighbors. The last parcel was purchased in 2012.This terroir is mainly gravelly soil. The plateau of Pomerol is between 30 and 40 meters. 2012 This is a wine that is very up front with ripe fruit, It was drinking very well for such a young wine. 2001 Classic vintage-underestimated after the fanfare of the 2000. It is a remarkably well -balanced wine and drinking very nicely now. 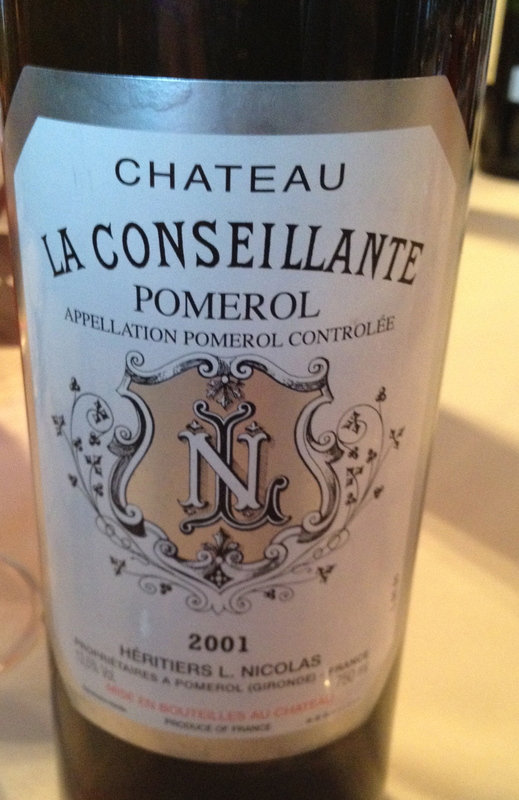 Chateau La Conseillante Pomerol Mr. Jean-Michel Laporte said that 80% of the vines are Merlot and is grown in soil the is mostly clay, the combination of soil and Merlot makes the wine round, deep and smooth. The remaining 20% is Cabernet Franc, which grows in gravel soil and contributes structure and freshness. The soil composition is 60% grey clay and 40% sandy gravel, resting on red (iron) clay. There are 11.8 hectors of unbroken vineyards. There are 6,500 vines per hectare on average, the training system is double guyot and the age of the vines is 34 years. There is optimal phenolic ripeness and harvesting is by hand in low – capacity, open trays. Sorting of the grapes is on 4 tables by hand and by machine. Pre-fermentation cold maceration takes place for 2 to 5 days. The wine is vatted for 3 to 4 weeks in 22 temperature controlled epoxy coated concrete tanks. A vertical wine press is used and the separate aging of the pressed wine takes place. The wine is aged 50 to 80% new oak barrels, from a number of carefully selected coopers for 18 months. There is racking using air pressure very 3 months and 2 to 3 fresh egg whites are used per barrel. 1998 unfortunately this wine was corked. 2005 This wine needs time to age. All three speakers made the point of the importance of having the right terrior for the grapes that you are growing. In answer to the question how do you know when the grapes are ready to be picked, one of speakers answered when I pick them. However they all agreed that they have the best modern equipment to tell when the grapes are ready to be picked than they had 25 or so years ago. That is one of the reasons that today’s wines will not taste like the wines from 30 years ago! During lunch at SD26, Ed said that they were thinking of flying to South Carolina because Mary needed to acquire more miles to qualify for a gold frequent flyer card from an airline. Their plan was to stay overnight and return the next day. I suggested they go to Florida instead. Ed said, “why Florida?” Travis answered Bern’s Steak House. We all knew about Bern’s but only Travis and Nicole had been there. After a very brief discussion, Mary and Ed decided that they liked the idea. Travis then said, “Why don’t we all go?” So that is how a group of 8 of us flew to Tampa, had dinner at Bern’s on Sunday night, and returned to New York for dinner at my apartment on New Year’s Eve. 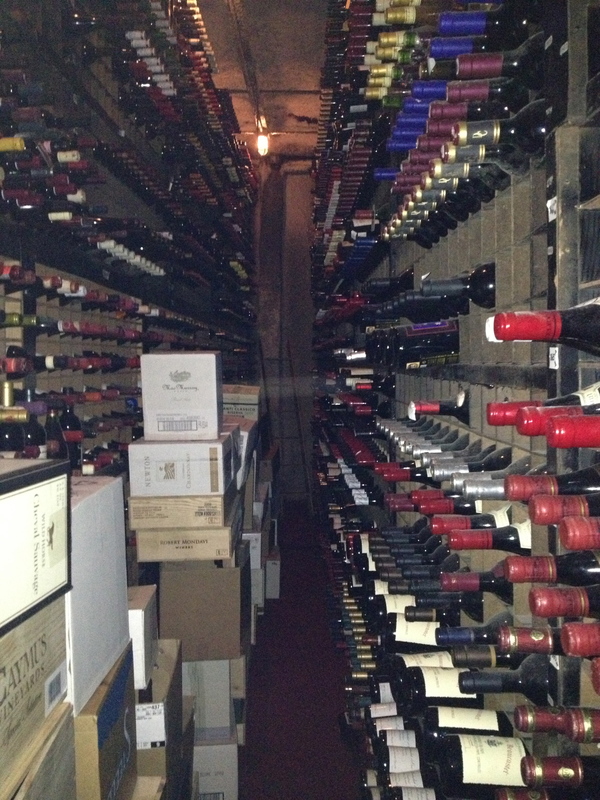 Bern’s Steak House may have the largest wine list in the world. They have over 1,250 wines on the list, 6,800 different wines, and a total of over half a million bottles. 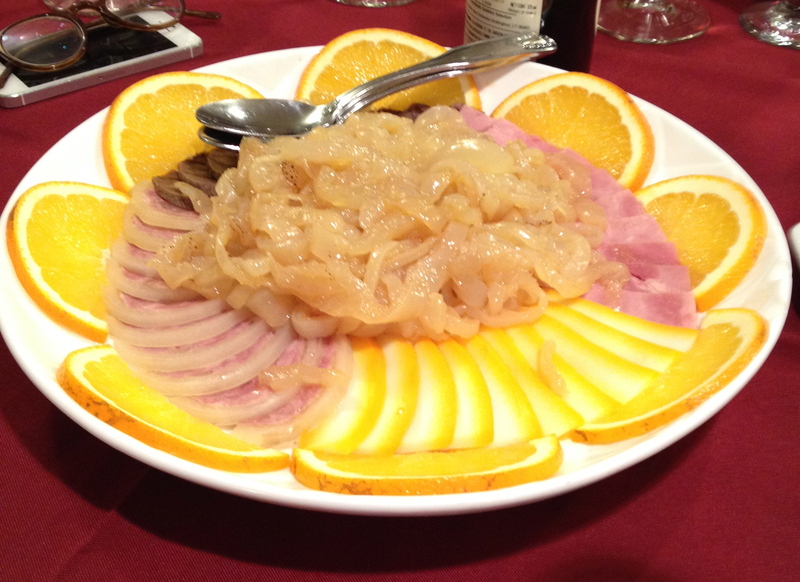 Travis had contacted Brad Dixon, one of the sommeliers at Bern’s Steak House, so he was ready for us when we arrived. We discussed the wine list with him and he also made suggestions that were not on the list and told us all about them. He is very knowledgeable and was a great help when it came to Burgundy. 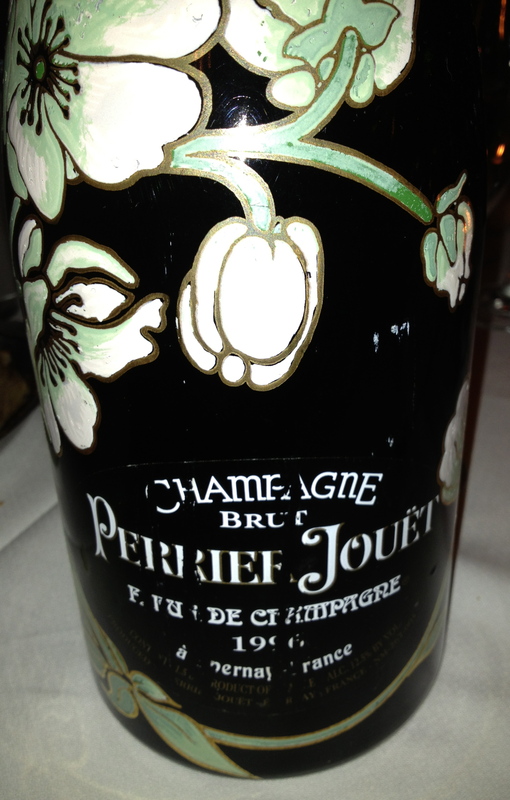 Since Ed always starts with Champagne, he ordered the Perrier-Jouet “Fleur de Champagne” 1996 in magnum to start. 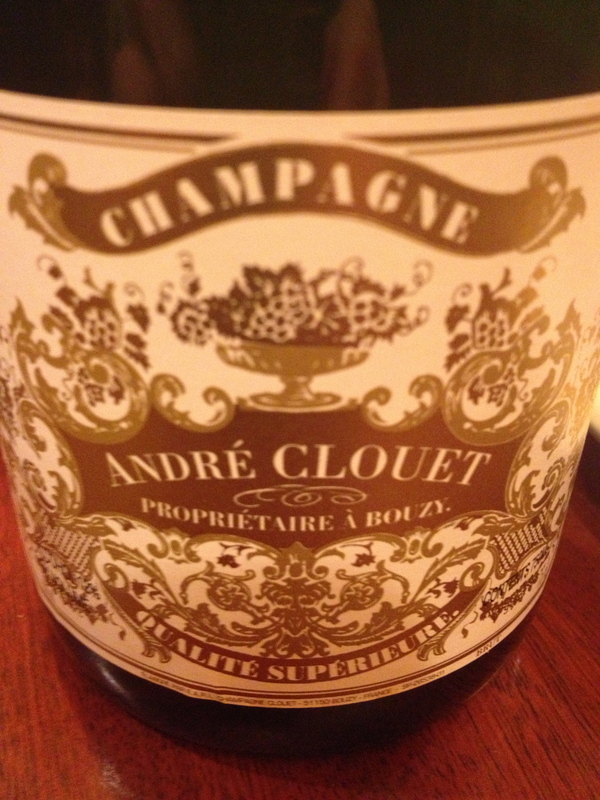 Made from 50% Chardonnay, 45% Pinot Noir and 5% Pinot Meunier, it comes in the popular and beautiful “Flower Bottle”. 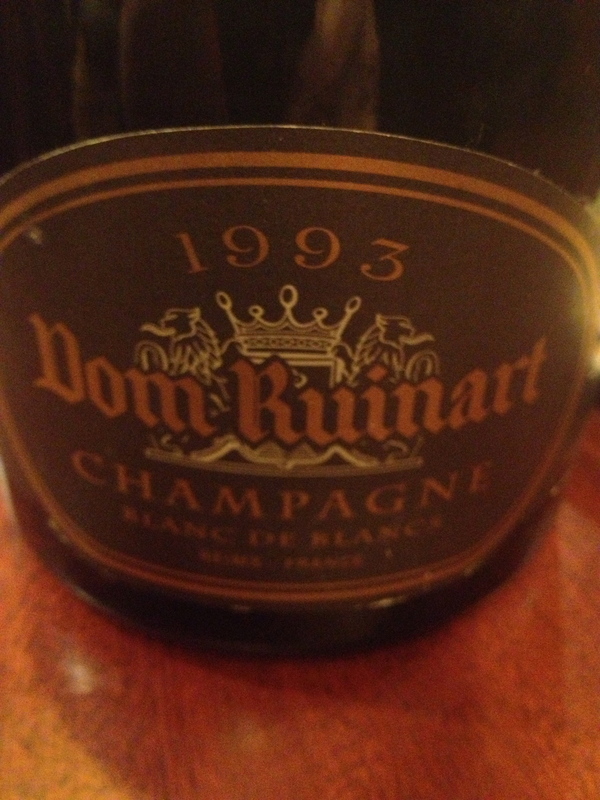 1996 was a great year for Champagne. The wine was just starting to come around and will last for many more years. It was a perfect start to a great wine evening. 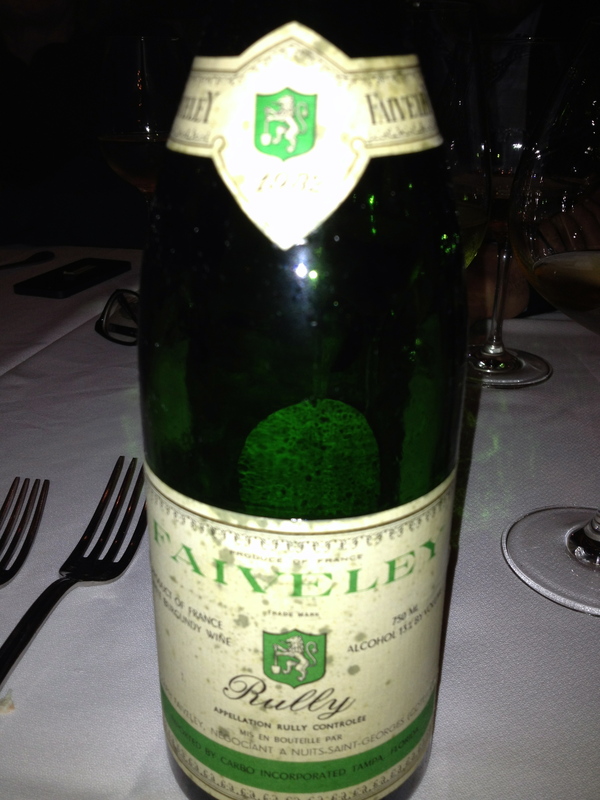 Rully Domaine Faiveley 1982 100% Chardonnay. The exposure is east and the soil is clay and limestone. Perfectly mature grapes are harvested and transported to the Faiveley winery in Mercurey. The must is extracted using a pneumatic press and settles in a vat overnight. Vinification lasts for 4 weeks. The wine is aged in vats for 11 weeks and the lees are stirred regularly. The wine is racked in Mercurey and transported to Nuits-Saint Georges, the headquarters of Domaine Faiveley, where it is prepared for bottling. This is how the wine is made today though it may have been different 30 years ago. 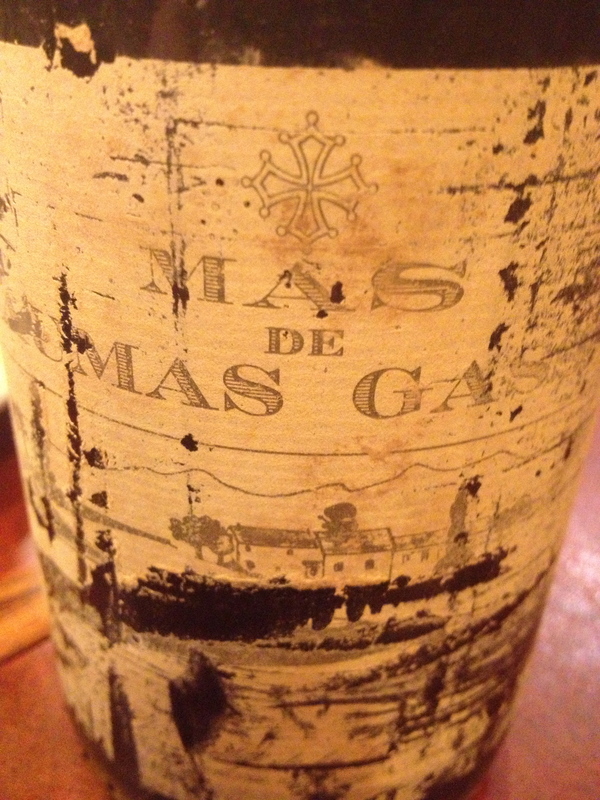 This wine was showing its age but was still drinking well. It will not last much longer and I attribute its lasting this long to the excellent storage facilities at Bern’s. This wine was under $50. Bern’s has a large selection of older wines from Italy and less known parts of France for under $50. and the label indicates the location of his offices which were in the village of Pontanevoux. 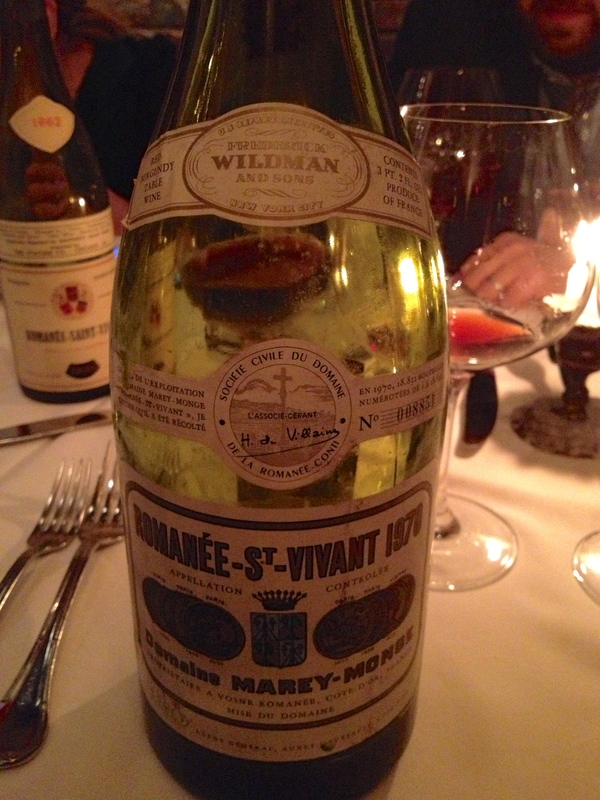 Domaine Romanee Saint-Vivant 1962. 100% Pinot Noir This is 9.54 hectare vineyard just above the village of Vosne. At one time, over half was owned by Domaine Merey-Monge but the vineyard however was tended by and the wines made by Romanée Conti. Domaine de la Romanée is now the principal owner with 5.29 hectares. There are 11 owners altogether. All I can say is that the Burgundies were exceptional and none were showing their age. Bordeaux Haut Batailley 1959. I believe it is mostly Cabernet Sauvignon with some Merlot and a touch of Cabernet Franc depending on the vintage. Mary paid for this wine to thank us for supporting her quest for miles. It was wonderful. Châteauneuf-du-Pape 1961 in Magnum Delas Freres This is a northern Rhône negociant that buys juice for their wines in the southern Rhône. 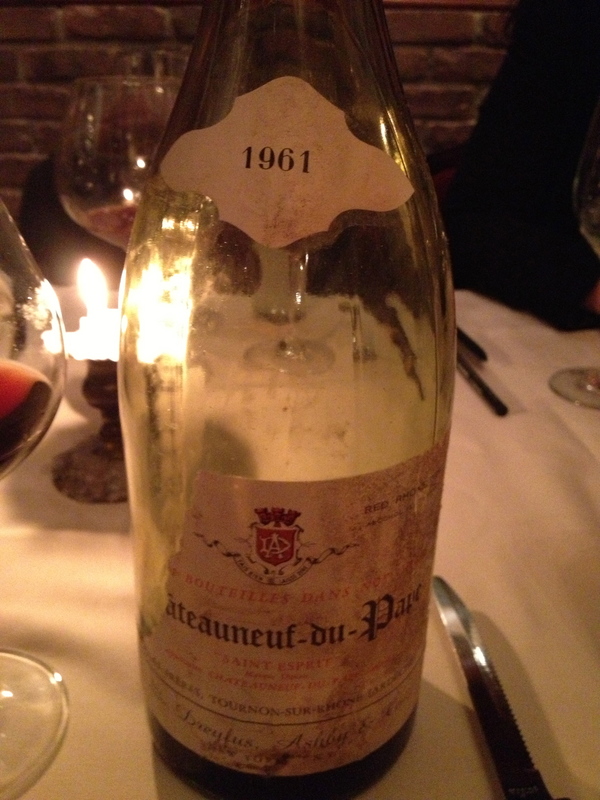 1961 was an exceptional vintage and this was the best Châteauneuf-du-Pape that I have ever had. In fact a number of people said that it was too young! Today it is owned by the Champagne house Roederer. Cossart Madeira Sercial 1905 – the oldest shipper of Madeira wine, established in 1745. Made from the Sercial grape. Sercial Maderia is the driest of the four classic varieties of Madeira. It is also the lightest and most acidic and delicate expression of Madeira and takes the longest to mature. Maderia Sercial is a white fortified wine made on the volcanic island of Madeira, which belongs to Portugal. 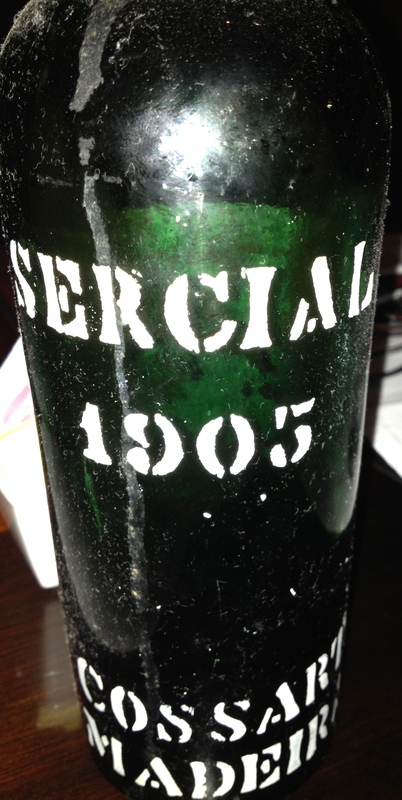 Of the two Madeira Sercials that we drank on two consecutive nights, the 1910 Leacock (New Years Eve) was showing slightly better. After dinner at Bern’s Steak House you are taken to the dessert rooms, set in empty wine barrels! 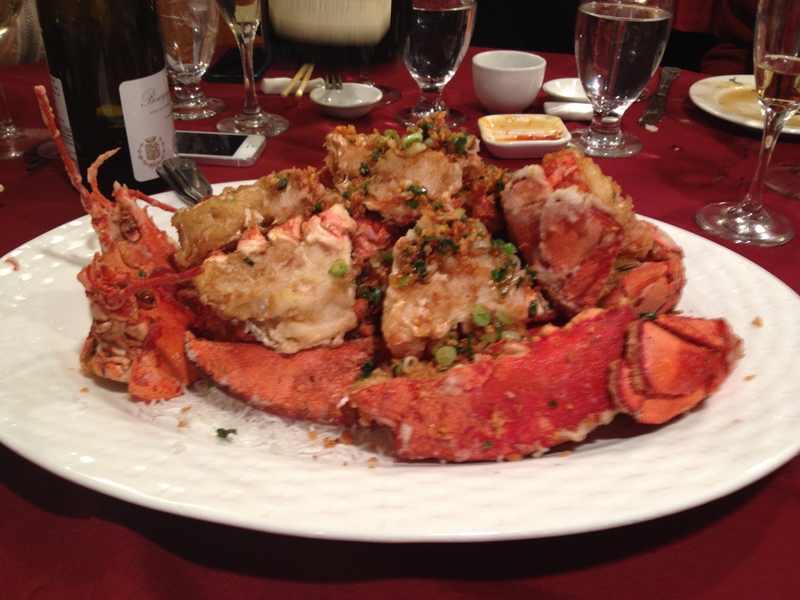 They offer an array of interesting desserts and a full range of dessert wines to go with them. We all had a great time and it was worth the trip!